The Rattail Cutlery Range Boasts a Selection of Well Designed, Highly Functional Products Suitable for any Catering Supply Need. We Stock the Full Set of Rattail Cutlery and Customers can Enjoy Free Next Day Delivery. 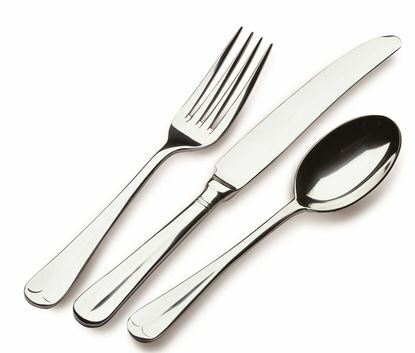 Buy the Rattail Cutlery Range Online at Great Prices and Enjoy a Number 1 Service from Hugh Jordan, Ireland's Largest Independent Catering Supplies Company.